A study conducted by the American Society for Training and Development (ASTD) notes that companies offering comprehensive training programs have 218% more income per employee. On the other hand, a full 40% of employees who receive poor job training leave their positions within the first year. When properly executed, the program delivers a lean and fighting fit workforce, and an increase in production, sales and profit, making your worries about employee turnover rate and onboarding costs a thing of the past. But the catch is in the words “when properly executed”. There are many things that can make a training and development program go awry. So how do you make sure that your program is not a sheer waste of organisational resources? Follow these seven simple but effective steps to create successful training and development programs. You have a need and you want the training program to address that. It may be a new product that requires a total revamping of the production line, or just want some changes to increase the output of an existing product. On both counts, you want employees to understand and adopt themselves to the new production flow and increase their in-line efficiency. The kind of training needed to ensure they are able to fulfill these roles and responsibilities. So defining this kind of training objective is the most important aspect of the program. It gives the program direction, and also serves as a yardstick to measure success. Put simply, the training will be judged as successful if your employees are able to successfully perform the tasks they were trained for. Put the objectives clearly across to your employees and appraise their understanding of the same through tests, quizzes and practical exercises. Have a road map of your plans ready before you put the same into action. A complete plan that includes learning and instructional methods, content matter, content flow and other such aspects. Design keeping in mind the needs of your employees, and not that of the trainer. Always create content around your training objective. Design using the training principles for adults (see below). Introduce as many practical sessions as possible in the program. Design an interactive program. Introduce Q & A sessions. Break the sessions into short segments. Ensure proper flow and connect between the segments. Have pride in their industry knowledge that needs to be respected. Start developing on the design and create your training materials, training manuals, training notes for the instructor, PowerPoint presentations, charts, posters and other materials for hands-on practical sessions. Decide the location for the program based on the size and kind of training rooms you need. The last phase before you can sit back and relax. Evaluate the design and development of the program, the effectiveness of the program, and the degree of success achieved. Employee Feedback: Get employee feedback about the program. Was it informative, helpful, riveting? Do they have any suggestions to make it better? Collecting this kind of feedback from employees who participate in training sessions will help you come up with new and improved program versions. Employee Assessment: This must be done during the training sessions. Evaluate how much employees have actually understood about the training. This can be done using mini quizzes, practical exercises, etc. In brief, you want to make sure they are aware of the training objective and the process to achieve it. Program Assessment: After your trained employees report back to work, conduct on the job evaluation of the training program to measure its effectiveness in achieving the objectives. Creating training and development programs for employees is of vast importance, and needs to be treated with the respect that it deserves. In order to deliver the desired results, the program requires a dedicated team. Your senior staff may agree to share the burden and teach the rest of your employees, but that won’t produce the results you expect. If you are not able to create an in-house dedicated team, there are training consultants who can manage your training and development program. Either way, this is a job for expert training coaches. Can we help you with your training program? 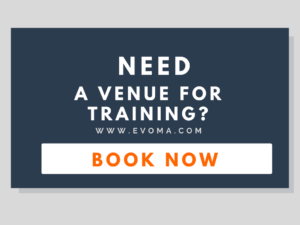 Professional training venue with conference and training rooms for large and small groups of all sizes.